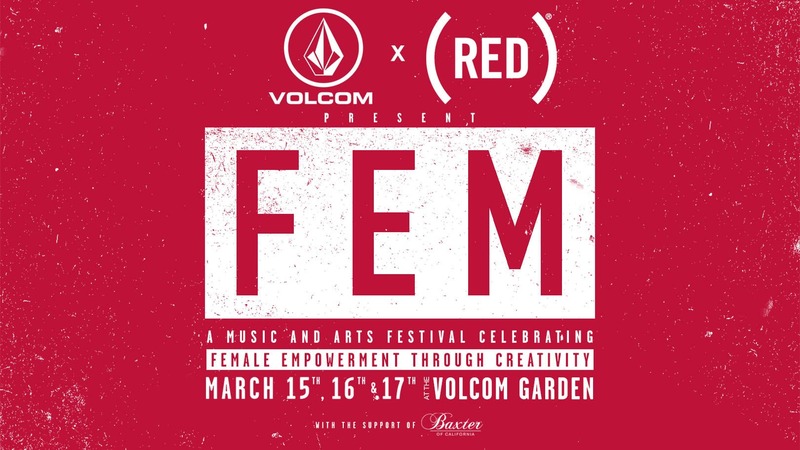 Volcom Garden finally announced details on their FEM festival series with (RED) for SXSW 2018! The hip spot was Fader Fort last year for those who were lucky enough to attend. This year, it’s hosting the FEM music and arts festival “celebrating female empowerment through creativity”, in conjunction with (RED)’s focus on fighting AIDS, and it looks like they’re throwing a hell of a bash to get it going. The festival stretches across 3 days, running from Thursday to Saturday March 15-17th, and the lineup is accordingly big! The bill includes huge acts like progressive R&B champion Kelela, local rap stars Magna Carda, British indie rock group Shame, multi-instrumentalist modern rock standout Kurt Vile, Canadian noise-pop U.S. Girls, and far more! The whole event is free with RSVP – read on for full event details and the link to RSVP! RSVP on volcom.com for free entry. In addition to the stacked lineup below, the party features 25% off discounted (RED) merchandise – all sales go to their global fund fighting to end AIDS and provide life-saving treatment for affected mothers and their babies. The event also features the a pop-up, on-location, all-female barber shop from Baxter of California, outdoor yoga and meditation from Wanderlust with local instructors from Austin yogi favorite Black Swan: Madilyn McCarthy, Patsy Springer and Christine Anderson. There will also be live art by Tyler Wallach, and much more! 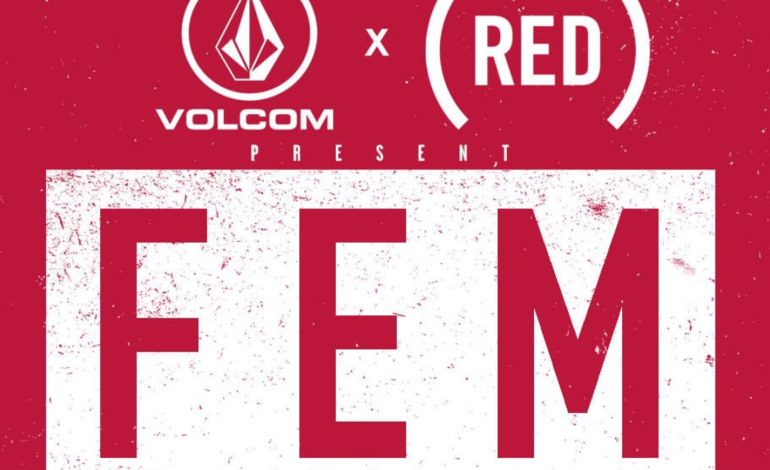 Text “FEM” to VOLCOM (865266) for lineup and scheduling updates and details. Set times aren’t yet announced on the site or via text but they promise to send details later on. The lineup across the three days includes Kelela, ESG, U.S. 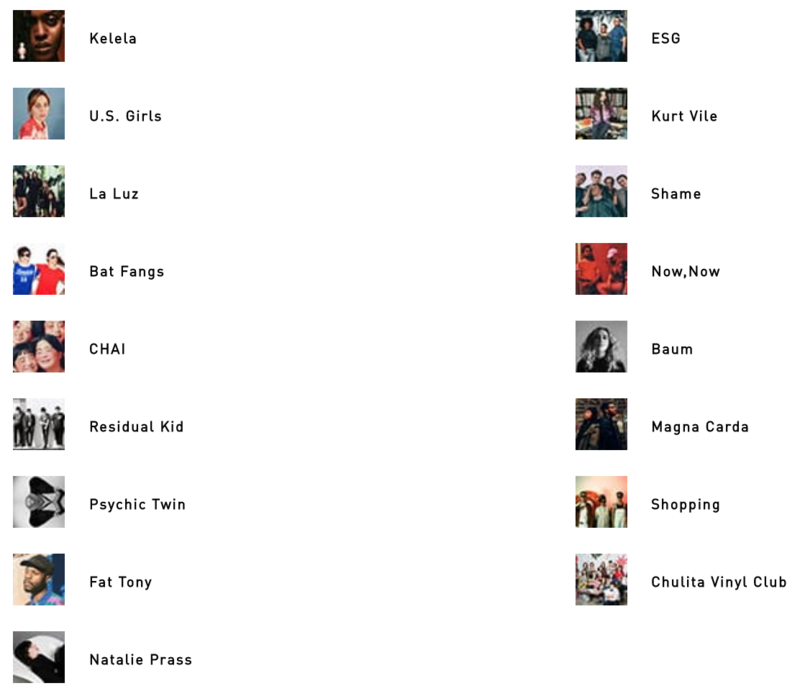 Girls, Kurt Vile, La Luz, Shame, Bat Fangs, Now,Now, CHAI, Baum, Residual Kid, Magna Carda, Psychic Twin, Shopping, Fat Tony, Chulita Vinyl Club, and Natalie Prass!